スポンサー: Apigee Corp., NTTコミュニケーションズ(株), Pivotal Software Inc. Welcome to Cloud Foundry Days! 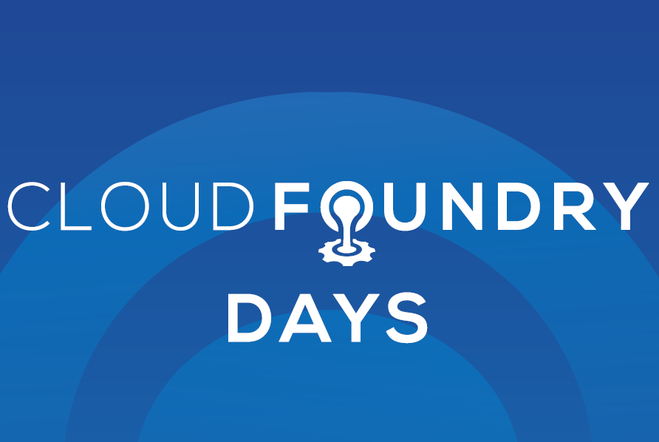 Cloud Foundry Days is a new single-day educational events sponsored by Cloud Foundry members, scheduled across the APJ and China regions in Sydney, Melbourne, Shanghai, Beijing, Singapore, Hong Kong and Tokyo. Cloud Foundry Days is a kind of mega meetup and it is placing importance on the locality. All skill levels are welcomed. There are plenty of interesting sessions and they are fun! The following special guests are going to come to Japan for this event. Chip is a Vice President of Technology of Cloud Foundry Foundation, and also a member of Apache Software Foundation. He could answer a wide range of questions about Cloud Foundry. Julian is a CEO of anynines. After graduation of the Engineering and PM Dojo's in 2015, Dies became a first non-Pivotal PM on a CF core project. He also brought a development proposal of auto scaling. He speaks fluent Japanese. After presentation sessions, we are going to provide a networking session (party). The special guests are going to attend. We will offer complimentary snacks, beer, wine and non-alcoholic drinks etc. We are looking forward to seeing you there! The venue is located on the 9th floor of Queen's Tower B, in the Queen's Square. Climb up the escalators, following the signage "Queen's Tower B(6F)". Take the elevator from the 6th floor and go up to the 9th floor. The agenda is here. The agenda is not fixed and subject to change. During the networking session, there will be some lightning talks. If you would like to make a presentation, register here. Sponsors: Apigee Corp., NTT Communications Corporation, Pivotal Software Inc. Fill in the questionnaire form upon registration. We will not provide your personal information collected through the questionnaire. It is only used for this event. It must be crowded on the day. Please print and bring the acceptance receipt or show it online to the receptionist. Please bring your business card for networking. The most sessions may be in Japanese. We can lend you a simultaneous interpretation receiver. Check it so in the questionnaire form upon registration if you want. Please be careful not to lost or damage your simultaneous interpretation receiver, if you rent it. No smoking in the venue except in the smoking room on the 6th and 10th floor. WiFi is available. There are limited numbers of the power strips. The photographs are taken in the venue by Cloud Foundry Days Bureau staff and media press. MNitta published Cloud Foundry Days in Tokyo.